Everyone's favourite. 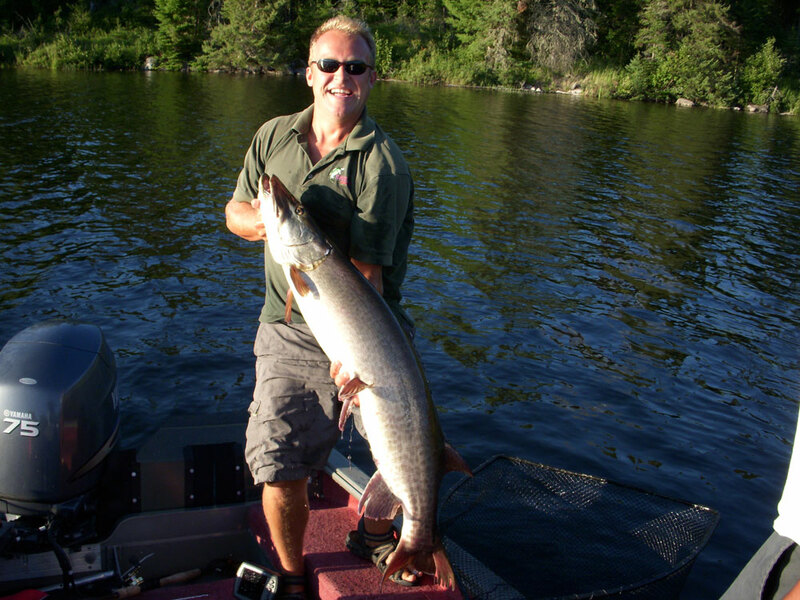 This tasty fish is the most sought after. 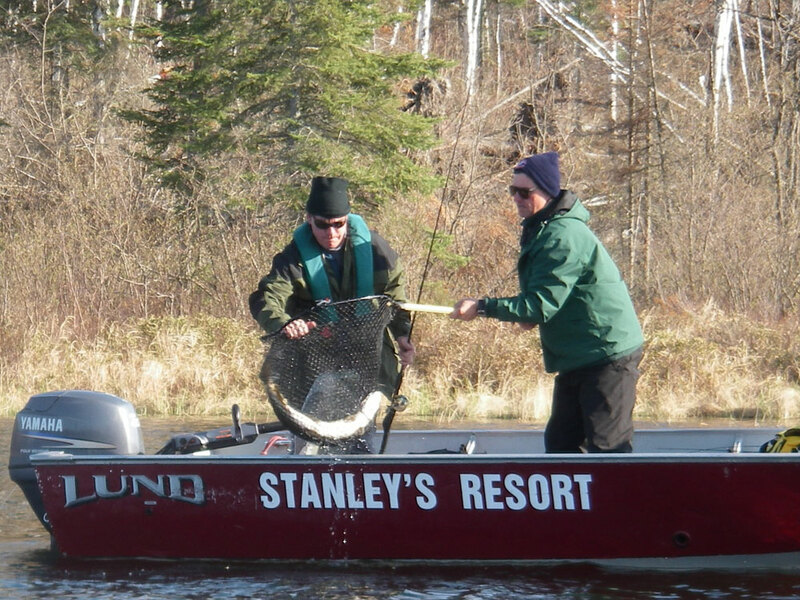 Luckily at Stanley's, walleye fishing starts only minutes away. 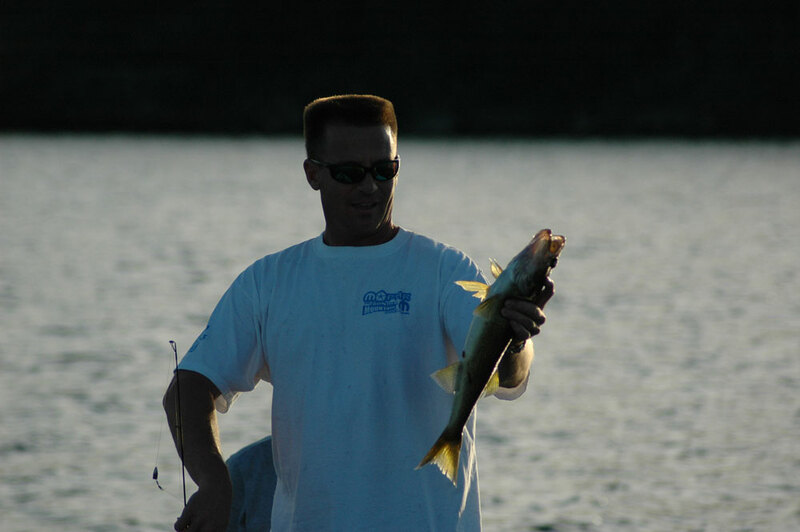 With an abundance of structure within sight of the resort, your time is spent fishing, not traveling to and from. 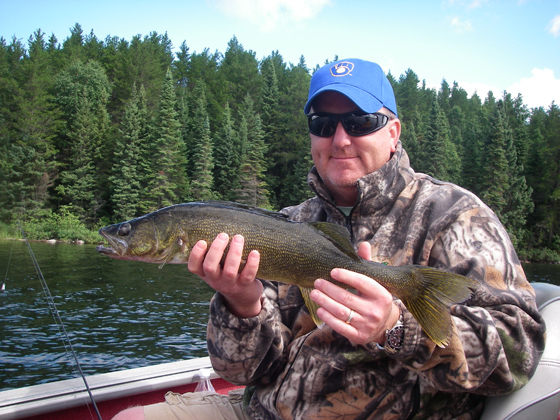 Not only does Eagle Lake have a great walleye fishery, but most of our portage lakes have walleyes in them as well. 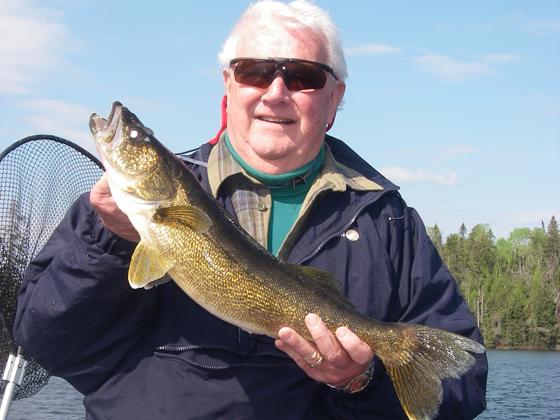 Walleye fishing tactics will change from the spring compared to the summer, through to the fall. 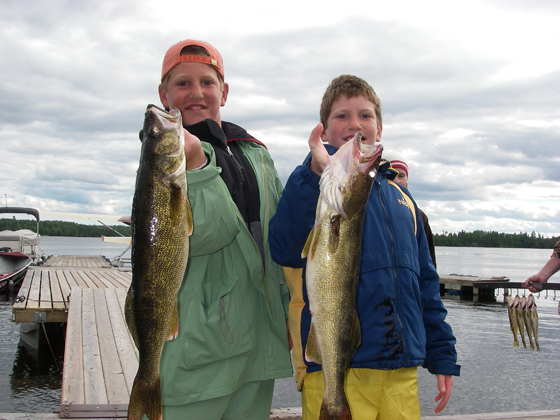 Spring means cold water, thus the walleyes are shallow, and are just off the shorelines and points. 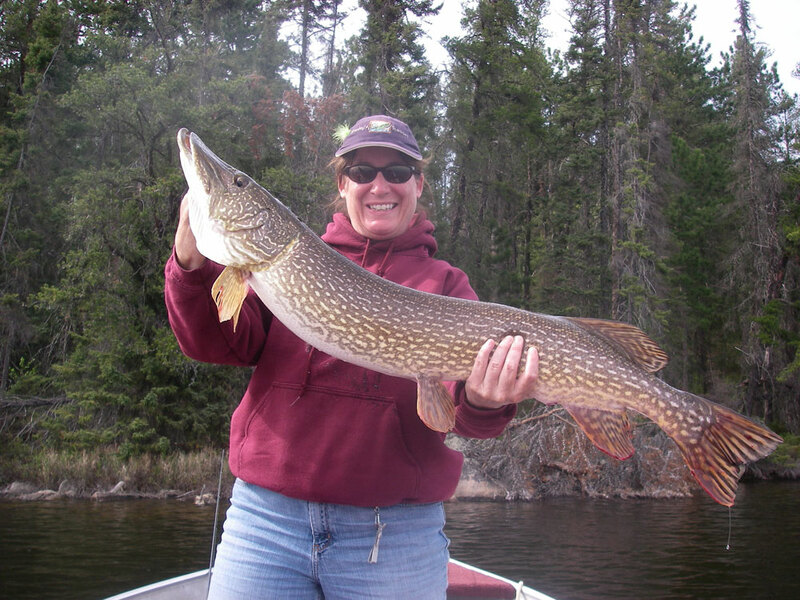 Once the water warms up towards summer, walleyes mover towards deeper water and begin to seek out structure. The reefs and drop offs are their favourite spots. 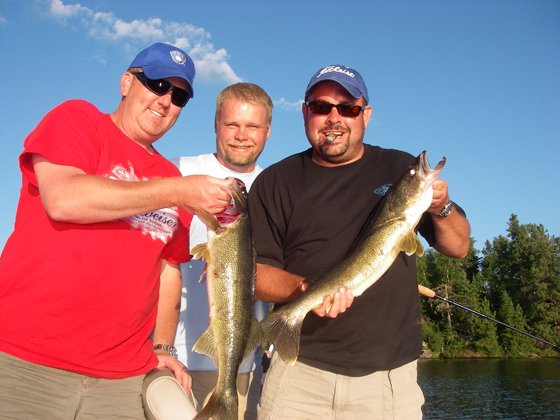 In the fall, walleyes will move down deeper and will often lay out in flat areas. 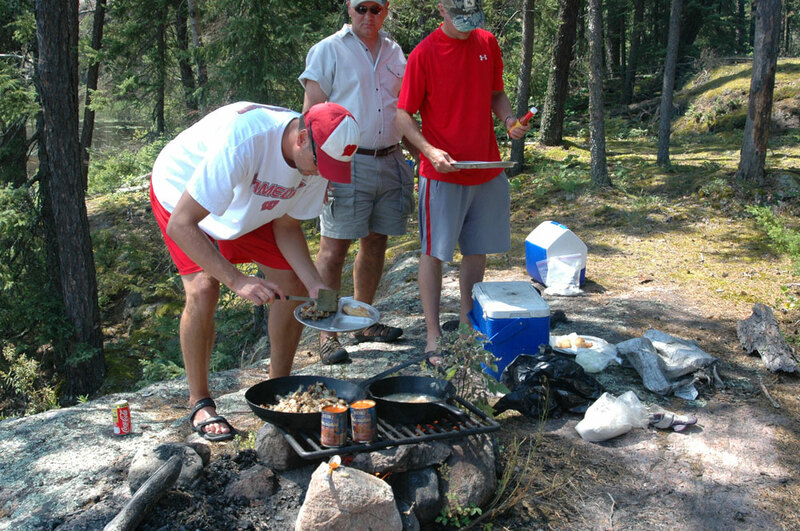 Deciding when to come will depend on how you want to fish and what type of weather you want to fish in. 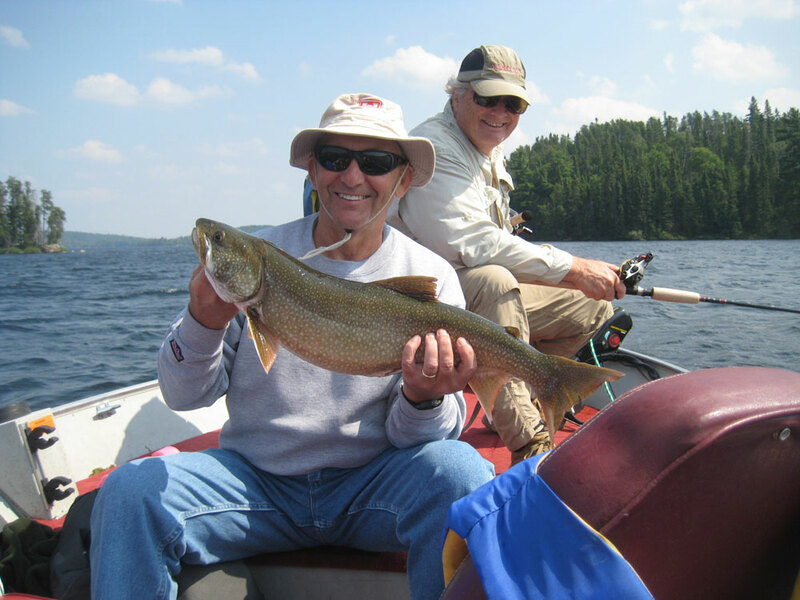 Spring fishing can bring easy fishing, but you might have to contend with less than favourable weather. Summer and fall fishing will bring warmer and nicer weather, but walleyes fishing becomes more technical, as structure, weather fronts, and presentation of bait are more important. The decision is yours, but whatever time you decide to come, you will be rewarded with a wonderful experience.